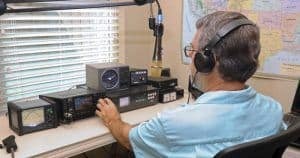 This article is a great resource for learning five easy and straightforward steps to attain your very own call sign and begin broadcasting. We will first present a few introductory paragraphs on some vital, basic information on ham radio that should especially appeal to true newcomers, and after that we will tell you exactly how to get a ham radio license. Ham radio can be an improbable complex hobby with almost limitless potential for connecting technology, people, and communication together. "Hams" are highly enthusiastic about their hobby and add up to a great social community that loves to share knowledge and tips and tricks with newcomers. And for those who love learning, ham radio presents a wonderful opportunity to learn about exciting relevant topics ranging from the broad essentials like electronics, physics and math to more specific subjects like radio signal propagation and antennas. But don't fret, as the FCC's entry-level Technician license exam is eminently doable and actually consists of a lot of common sense questions. Because there's so much to learn about amateur radio, it is infeasible to master everything before taking your first certification exam. Thus, the guide we're presenting below will contain only the most essential tips and steps you need to take to get your license as quickly as possible so you can start to learn "on the job" and begin your ham radio hobby in earnest. Helping others in need and performing vital public services. Ham radio is a crucial communications channel in times of disaster -– such as when emergency response personnel and amateur operators extensively used ham radios and rendered life-saving aid when other communications failed during the tragedies of Hurricane Katrina and 9/11. Talking to others across town or around the globe. Besides being prepared for when disaster strikes, those licensed as a General Class can talk to other enthusiasts around the world by such means as bouncing a signal off of the ionosphere and even through the improbable practice of successfully achieving a "moonbounce." Push the boundaries of digital communications through interfacing your radio with modern technology. Ham radio operators frequently combine modern technology –- such as computers -- with their ham radio setups for sending text, data and media over the airwaves. We now present the following helpful guide to passing your first certification exam and attaining your license. For those with more ambition or an established aptitude in this subject, it is always possible to take two or even all three FCC amateur radio class exams -– Technician, General and Extra -- during one sitting, although be aware that each of the exams progresses significantly in difficulty. First up, a short description of the first two license classes the FCC awards. The third and most advanced Extra Class license is left out here. It is highly difficult to qualify for, and in practice, most amateur radio operators have as many transmitting privileges as they could desire with the General Class. Technician Class allows one to broadcast locally, in some cases across North America and a very limited ability for international communication. This entry-level class is fairly easy to achieve by getting at least 26 answers correct on a 35-question multiple-choice exam. Exams happen monthly all over the US and the questions are randomly assigned from a published pool of around 400 questions covering basics like regulations, radio theory and best operating practices. General Class licensees enjoy world-wide communication privileges. The General Class license exam consists of 35 questions but from a larger pool and passing requires a minimum of 26 correct answers. All exams usually cost about $15, even if you're sitting for multiple exams at once. Click this link to easily learn where and when you can schedule your exam. Pick a convenient time when you think you'll be prepared to pass the exam. About 10 hours is a normal amount of study time to master the Technician exam questions. With your exam scheduled, you can get down to earnestly studying to pass the test. A great –- and free –- online resource for this is Hamstudy. It is an easy to use website that not only offers every one of the up-to-date published questions but offers several effective study methods and aids. This site is the resource that will aid you immensely in passing your exam the first time. Try to commit to studying for at least an hour a day -– or more depending on how close your exam is scheduled. Of course, everyone's aptitude and knowledge base vary. In your first experience with the questions, try to read through as many as you can to get an idea of the subject matter and how strong you feel about them. All of the correct and incorrect answers are provided. Next, make use of the highly effective flashcard feature. Just as it sounds, it will present individual questions for you to answer covering the gamut of subjects on the actual test. An option for learning more about each individual question is provided. The majority of licensee hopefuls will spend most of their study time on this flashcard section. 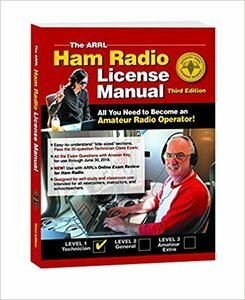 Also consider picking up a copy of the ARRL Ham Radio License Manual to prepare even better for the ham radio license examination! After you're fairly confident in your progress, take the practice test. More so than the flashcard feature, the practice tests recreate to a high degree what you will encounter on the real exam. Each test is automatically graded and the option is available to review the test and subjects you are weak in. 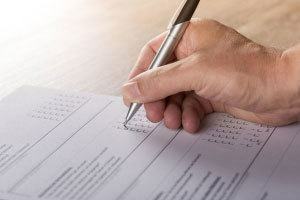 We advise that you take this test again and again until you pass it 9 out of 10 times. You're now ready to take your certification exam. Don't forget to bring the $15 in cash to the test site and be ready to relax as you receive your test booklet with a separate answer sheet. 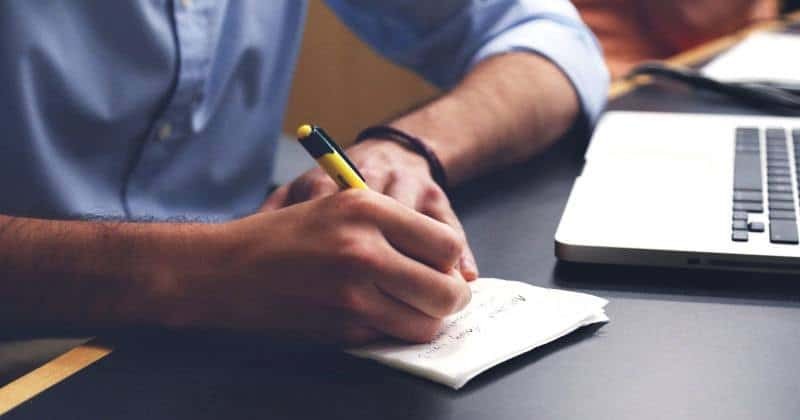 A very effective method for passing the test -– besides all your diligent studying –- is to skip answering questions you're more or less unsure of and proceeding down the list answering questions your reasonably sure of. After answering questions your confident about, go back and make as best a guess you can on the difficult ones. We expect that, by following as closely as possible all these steps, you will have easily passed the test. With this "How to get a ham radio license" guide you will hopefully have a better idea of how exciting, fun and useful the endeavor of amateur radio really is and how truly easy it is to pass your certification exam. For more quality information on this subject, visit this link which is the online home of the national association of Amateur Radio.